If you’ve been reading my blog for long, you know that I love short stories and anthologies. I also love to read and write about travel. I was very happy to find a book of short stories about gritty New York City and a travelogue anthology by independent women writers. Since short stories can easily be read in one sitting, a perfect snack for that is popcorn. 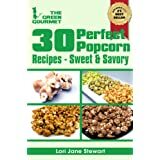 A previously-posted book of yummy and unique popcorn recipes has come up free again. Don’t miss it this time! 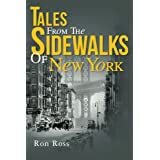 Ron Ross, described by Publisher’s Weekly as a “writer with the flair and spellbinding magnetism of a natural storyteller,” continues in that mold with his latest work, “TALES FROM THE SIDEWALKS OF NEW YORK.” In this collection of short stories Ross captures the uniqueness of the “only from New York” characters whose deeds, adventures and exploits, together with the blend of plots, create an emotional roller-coaster ride for the reader. Ready for an adventure? Travel along with sixteen women writers as they recount their journeys to locations as diverse as Italy, Africa, Ireland, Central America, North Cyprus, the beaches of Florida and California, the canyons of Arizona, and the mountains of the Colorado Rockies. You will laugh, cringe, nod in understanding, and maybe even wipe away a tear or two. Best of all, you won’t have to pack! This entry was posted in Kindle Bargains and Freebies and tagged Books, Fiction, Free, Kindle, New York City, Recipes, Travel, vacation by Lori Saltis. Bookmark the permalink.